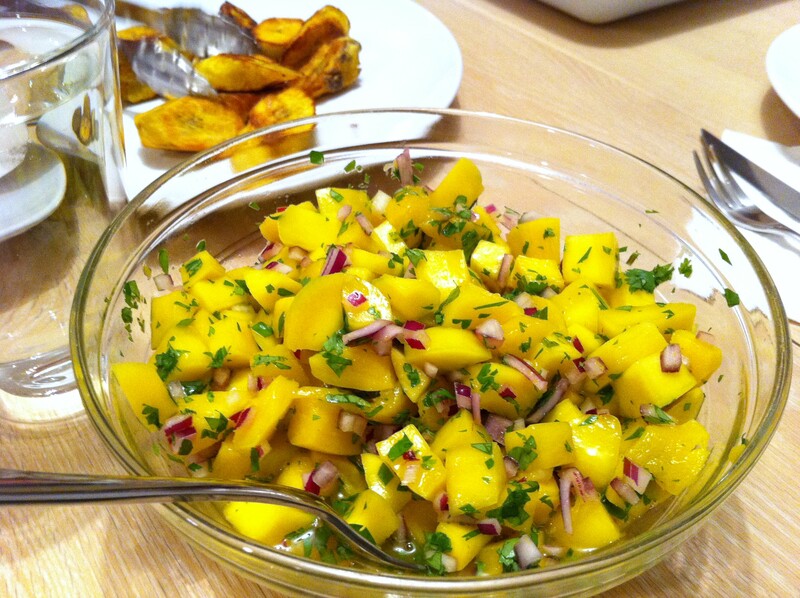 Dice the mangos into small cubes discarding the skin and the seed and add the cubed mango to a medium bowl. Now add the red onion, cilantro, lime and orange juices, salt and pepper and combine well to incorporate the juices. Refrigerate for a few hours. Transfer to a serving bowl and allow the salsa to sit 30 minutes at room temperature before serving and enjoy!